How about $99 all day and FREE overnight? Want to keep the kids entertained while they are home for the Holidays? We also have Bounces available today on short notice. Call us at 602-820-8030 right now and we'll deliver today if needed! Keep it all weekend just $50 more! Ask us about our Weekend Special! * Special rate applies to Bounces on this page only. Choose one of these select Bounces at this cheap price! Call Laurie at 602-820-8030 right now to reserve last minute bookings. We will deliver your Bounce Friday or Saturday. Keep all weekend and we will pick it up Monday. Slide and Bounce with this Kiddie Combo. Perfect for Toddlers, Preschoolers and Kindergartners. This Combo is specially priced at $169 regular and $149 on Sundays (plus delivery). Keep overnight for free on Sundays too! Add a Bubble Machine or Spin Art for more fun. We offer kiddie size tables and chars for rent as well. Call Laurie at 602-820-8030 for details. Plan a Family Stacation! 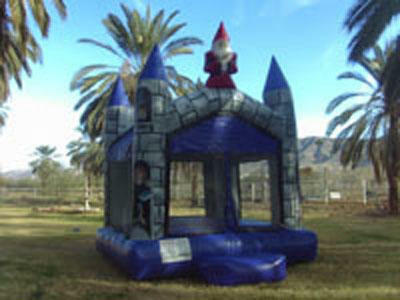 Multi-day discounts on Bounce Houses with Water Slides (or dry slides). * Offer applies to specific Bounces pictured. Excludes Holidays. 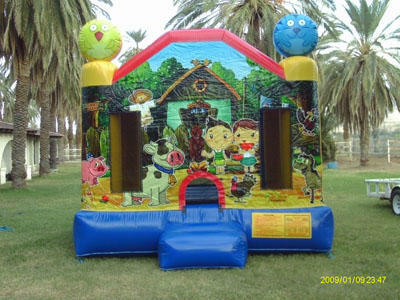 Are you looking for A Bounce House to rent right now? Call us at 602-820-8030 to see if we can deliver to you today!! Ask about Special Deals we have for Weekday Parties!